Dr. Whetter teaches primarily mediaeval literature, introductory (first-year) literature, and (in alternate years) Tolkien or Renaissance Drama. Dr. Whetter's principal areas of research are the mediaeval Arthurian tradition, Middle English romance, and epic-heroic literature. He has published articles on these subjects in such journals as Arthuriana, Reading Medieval Studies, Arthurian Literature, and Speculum, and has contributed chapters to numerous books, including Arthurian Studies in Honour of P. J. C. Field and Malory and Christianity. He is co-editor of two books: Re-Viewing Le Morte Darthur (with Raluca L. Radulescu, in 2005) and The Arthurian Way of Death (with Karen Cherewatuk, in 2009). 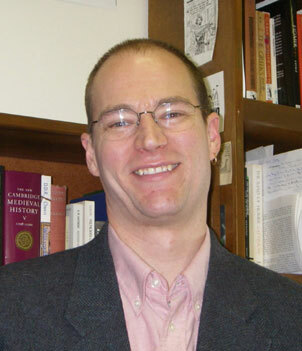 He is also the author of two monographs: Understanding Genre and Medieval Romance (2008), and The Manuscript and Meaning of Malory’s Morte Darthur (2017) (https://boydellandbrewer.com/the-manuscript-and-meaning-of-malory-s-i-morte-darthur-i.html). Whetter welcomes thesis students (both Honours and Master’s) on Arthurian literature, mediaeval romance, or Tolkien.